Discover the delights of Croatia’s Dalmatian Coast on this Dubrovnik day trip from the Makarska Riviera. Enjoy a scenic coastal drive to Dubrovnik, and take in top natural attractions including the Baćina Lakes, the Neretva River, the Pelješac Peninsula and the Elafiti Islands. 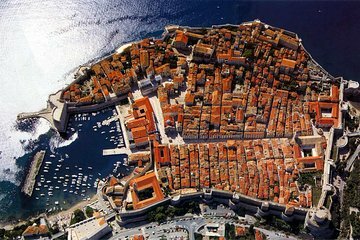 With your map and brochure in hand, enjoy four hours of free time to explore Dubrovnik’s UNESCO–listed Old Town at your leisure. Discover ancient streets and Renaissance architecture, and gain insight into the city’s rich history. Upgrade your tour to include the services of a guide.